When the phrase domestic violence is uttered, most people imagine the obvious. There are physical threat connotations to it but the term refers to a lot more. Every state has specific laws that define what domestic violence is and how it’s going to be prosecuted. The relevant law for domestic violence in Arizona is A.R.S. 13-3601. It’s also very important to point out that apart from prosecuting crimes and violence committed against such alleged victims, the statute also criminalizes the threat of violence. Depending on the specifics of the situation, acquaintances and roommates may also be entitled to protection against domestic violence. Each one of these categories consists of a wide range of behaviors. Physical abuse, for example, could come in the form of hitting, kicking, slapping, hair pulling, depriving a partner or a child of sleep or meals, injuring children, using forcible physical restraint and even exercising violence against a family pet. Emotional abuse could consist of continuous degradation, humiliating someone, manipulation and brainwashing, using statements to distort reality, undermining self-confidence through constant criticism and negative statements, disregarding the opinions or wishes expressed by another person and using religion as an excuse for abusive behavior. When a victim contacts law enforcement authorities and a person is found guilty of domestic violence charges, they will be prosecuted for a specific offense. Some of the most common offenses that fall under Arizona domestic violence statutes include assault and aggravated assault, criminal damage, custodial interference, harassment, endangerment, kidnapping (usually of children to keep them away from the other parent), trespass, threatening and intimidation, restraining order violation and disorderly conduct among others. In total, there are 29 offenses that a person committing domestic violence in Arizona could be charged with. Domestic violence charges will be classified as either misdemeanor or a felony depending on the severity of the offense. 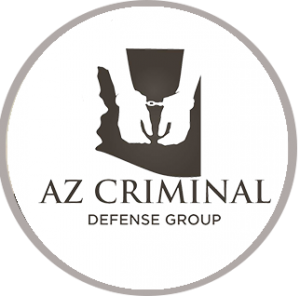 Child or vulnerable adult abuse in Arizona, for example, is a Class 4 felony. When done with criminal negligence, it is a Class 4 felony. Trespassing will usually lead to misdemeanor charges unless there are aggravating circumstances. Apart from the criminal implications, domestic violence could also have civil implications for the perpetrator. An alleged victim has the right to get an order of protection filed against the perpetrator. The order of protection comes with specific terms and conditions that address the specifics of the case. The perpetrator could be asked to move out of a family home, they may be kept from contacting family members, owning a weapon or going to certain locations frequented by the alleged victim. A person that violates the order of protection or a restraining order will face additional criminal charges. People who get an order of protection should know that the alleged abuser will not be arrested because this is a civil proceeding. An arrest is going to occur whenever the police has sufficient evidence of a probable cause for the commitment of a crime.